A newly refurbished and wonderfully light first floor flat, within this attractive and desirably located street just off Askew Road. The property has a brand new kitchen with integrated appliances - open plan to the reception which has a good quality wood floor. The bathroom has also been newly re-fitted. The back double bedroom has a useful dressing room / study running off it and down a few stairs. The aspect at the rear is open and leafy and gives a good level of privacy. The property is quietly situated on the southern side of Bassein Park Road near the junction with Rylett Road. Local shops on Askew Road and both Wendell and Ravenscourt Parks are within a short walk, as are numerous good schools and the shopping and transports hubs of Hammersmith and Westfield. 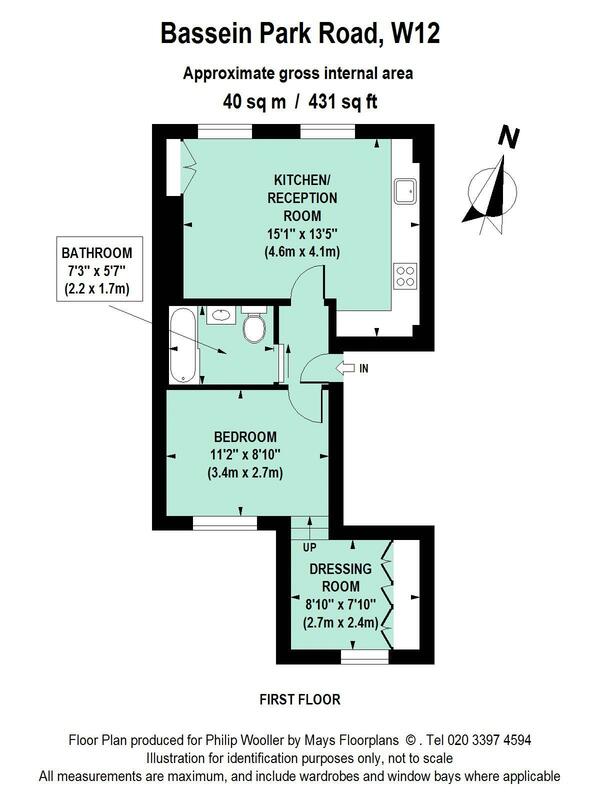 431 sq ft / 40 sq m approx.